The Contest: Send a photo of you dressed as a Heck character for Halloween. The Prize: A signed Circles of Heck book! First Place: Elijah from New Jersey! 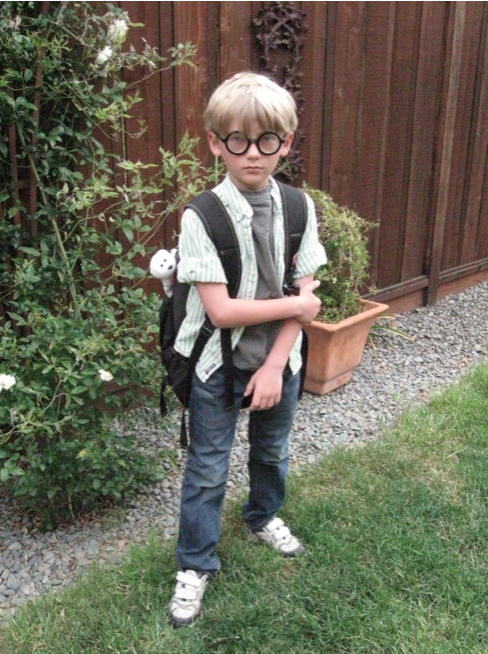 Elijah is dressed as Milton Fauster from Snivel: The Fifth Circle of Heck. Not only did Elijah submit his entry mere moments from the contest announcement, but he has the most dismal expression on his face I’ve ever seen (that is, apart from this morning when I was shaving). Second Place: Spencer from Oakland. 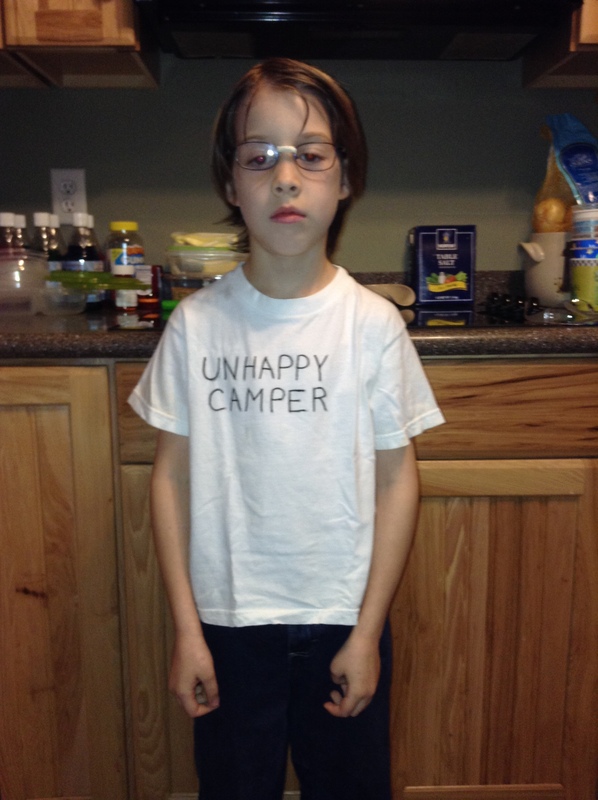 Spencer is dressed as Milton Fauster from Heck: Where the Bad Kids Go. Nice ferret in the backpack! Third Place: Jocelyn from Atlanta. 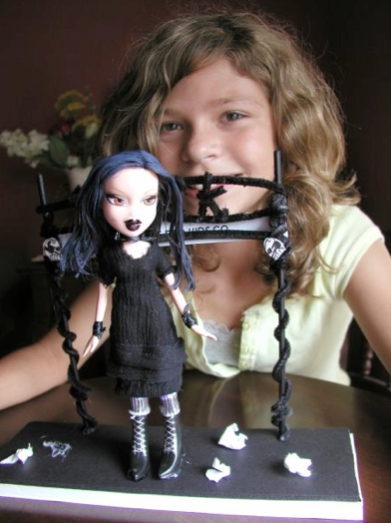 While not a costume, per se, Jocelyn created the Gates of Heck using pipe cleaners and, for Marlo Fauster, an embellished Bratz doll. All in all, a creeptastic Heckoween display. Nice job, Hecklers! Your booty is in the mail. Books too! Vermont may be for lovers, but Halloween is for Hecklers! To prove it, I will give a signed book (maybe even a Circles of Heck book) to the first THREE Hecklers that send me pictures or video of them dressed as a character from my Heck series (new photos, please…I know a few of you have dressed like Milton or Marlo in the past!). Please send all photographic (or videographic) evidence to: heck@wherethebadkidsgo.com! Ready…set…GO CRAZY! 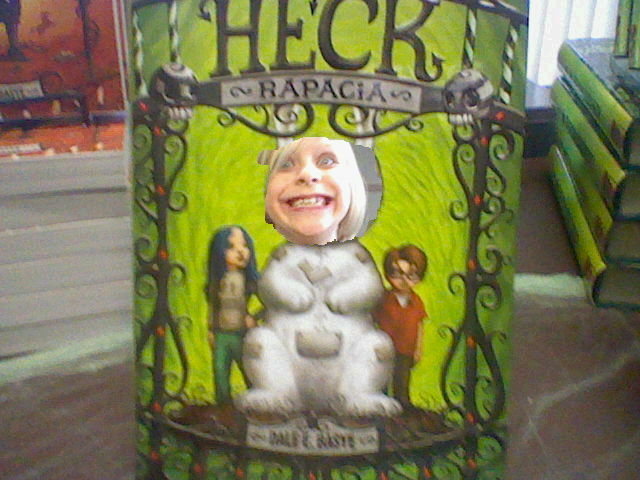 Heck Contest Winner: Timothy Spaw! Remember that contest I posted a while back, asking Hecklers™ to post a video of them reading a chapter from one of my Circles of Heck books? Well…that didn’t work out so well. I got a few close calls (like Lucy Guzzardo’s awesome Heck video game!) but not a lot of actual Heck-related readings. I did, however, get a batch of CREEPTASTIC SONGS from Heckler™ Timothy Spaw from Syracuse, New Jersey! 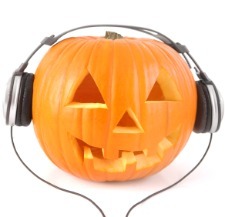 I’ve included them for all to enjoy this spooktacular season! Timothy is ten years old and loves music (apparently really disturbing music) and I thought, in honor of Halloween (AKA Satan’s Birthday), I would award him with the EXTRA SPECIAL PRIZE of a FULL-SET of SIGNED (or “Singed” if you’re dyslexic) HECK BOOKS! CONGRATULATIONS TIMOTHY AND SORRY I’M WRITING THIS IN ALL-CAPS! I’M NOT REALLY YELLING, IT’S JUST THAT I SPILLED FRESCA ON THE KEYBOARD!